All Angels Are Perfect, But This One Can Prove It! British Angels were first minted by Henry VII in 1489. But now, and for the first-time in British Angel history, they've been stuck in Platinum. And, not only in platinum, but in stunning high relief! 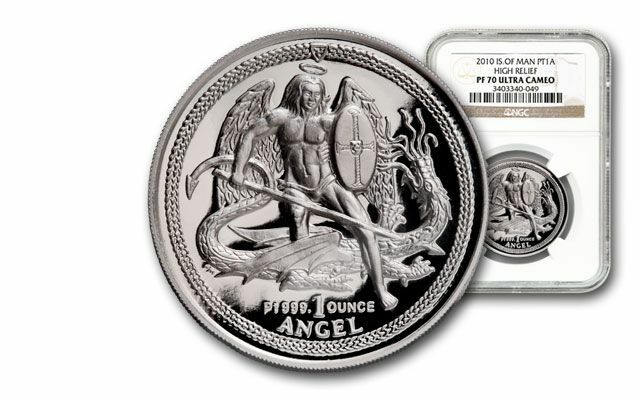 It's the 2010 High Relief Platinum Angel Proof, and it contains one-ounce of 99.9% platinum. High relief coins are very hard to make - they require multiple strikes at very high pressure to attain the desired effect. 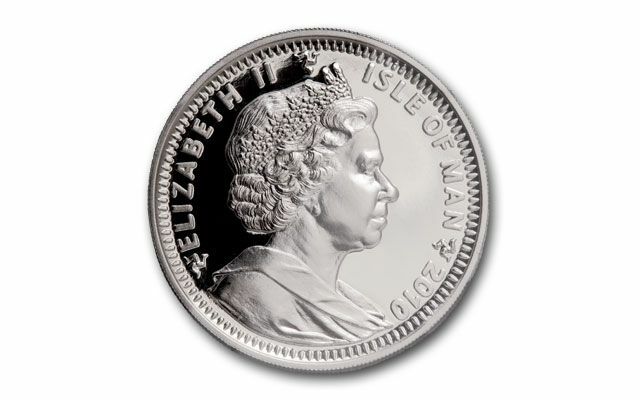 To top it off, platinum is a very difficult metal to strike into coins. 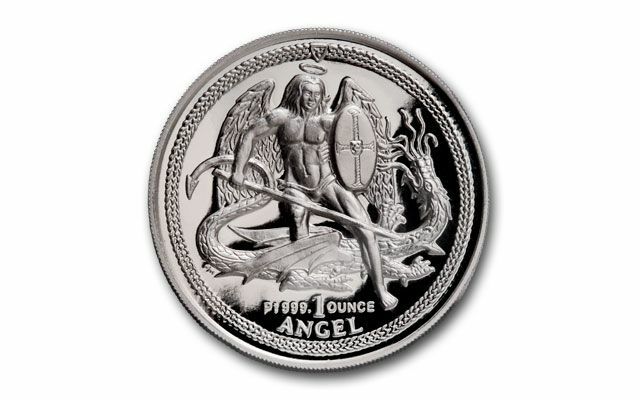 As a result, only 500 of these special platinum angels were minted. Because of the profound historical significance, we asked the mint to give us as many as we could get - and they awarded us the entire mintage! We've reserved the best for you; they're graded perfect Proof-70 (PF70) by Numismatic Guaranty Corporation (NGC). Hurry, this angel has wings and will fly away fast!